Whether you're wanting to reduce your overall body fat, gain lean muscle or just improve your fitness and quality of life Pretty Brave Fitness will be able to help you achieve your goals! We run 32 classes every single week! Our classes run for 45 minutes in total and are all a mix of strength and cardio exercises. While our circuits are ideal for those wanting to push themselves to the limit, we are also able to scale our workouts to suit every level of fitness! Including those who have never exercised a day in their life! - You can attend as many classes as you want! And with 30 classes there will be times to suit your lifestyle! - You will be able to schedule your classes right from the palm of your hand through our app! Book, swap and cancel anywhere, anytime! - You will get access to our exclusive Facebook group! This group is for all past and present girls who have trained at Pretty Brave Fitness. We use this group to support and motivate one another, communicate on a more personal level and organise things such as catch ups! We are also CHILD FRIENDLY! We already have heaps of mums who LOVE coming to Pretty Brave Fitness because they can bring their little ones. You can workout while your child plays! For one 30 minute personal training session you would be paying $50 + a gym membership but at Pretty Brave Fitness you get UNLIMITED small group training, access to our private Facebook group, 24/7 contact and support from me AND the priceless motivation and comradery of like-minded women all for only $46 per week! I pride myself on genuinely caring about each and every one of my girls. Your goals, health and wellbeing are important to me. To ensure you're getting as much from these sessions as possible numbers are limited. 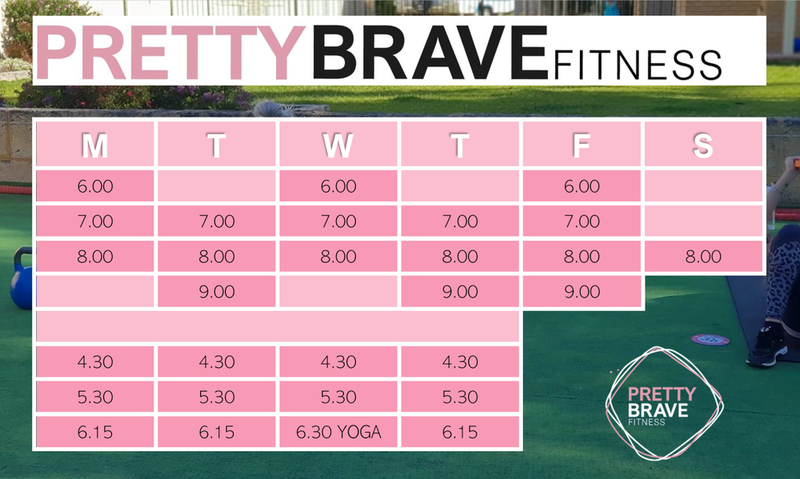 If you're interested in joining Pretty Brave Fitness please head to our contact page and get in touch with me!